Trees are a wonderful landscaping element and a valuable asset on any property, residential or commercial. Getting high-quality tree care services from a certified arborist is critical to preserving the beauty and health of your trees. Hunter's Tree Service is glad to be the one-stop stop for all of your arboricultural services needs. 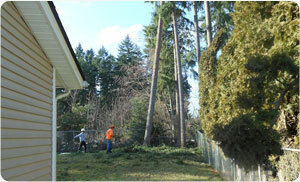 We are certified arborists in the Pierce County, WA area. We provide comprehensive tree care services to help home and business owners enjoy majestic, well-structured, robust trees in their yards and on their properties. Making reports on issues like heritage trees, root impact, tree safety, etc. Whether your property has ornamental, evergreen, or fruit trees, look no further than us for the professional services of a certified arborist in Pierce County for their care and maintenance. Are you wondering why it is necessary to call a certified arborist and not just let any gardener in the neighborhood help you look after your trees and shrubs? Does hiring an arborist seem like a needless expense? The fact is that the specialized services of a certified tree care specialist like ours go a long way in fetching you optimal returns from your investment in trees that add considerable value to the property and enrich your daily life. Another advantage of hiring our certified arborist is our guarantee to provide qaulity, safe, incident-free completion of all tree care jobs. Working on trees can be hazardous. Improper or careless work by untrained technicians can have disastrous consequences like injury from falling from the tree, damage from unexpected/uncontrolled felling of tree and harm to the tree itself. Moreover, our tree care company is fully insured. 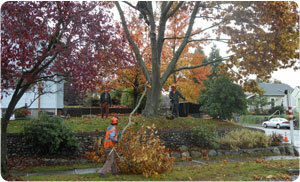 Need expert and affordable tree care services in Pierce County? Turn to Hunter's Tree Service. 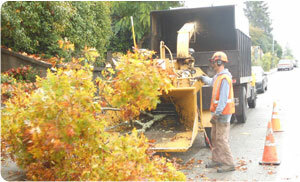 Call for our arborist at (253) 777-1938.